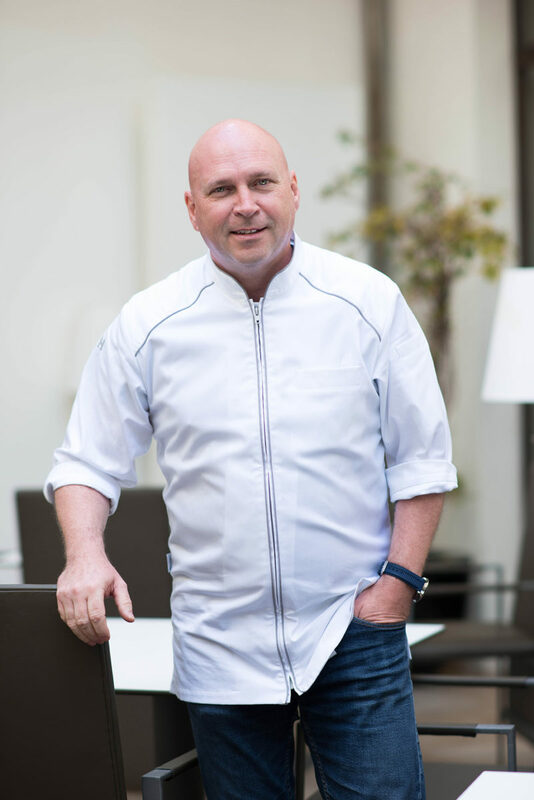 In 1981 Marc Fosh’s culinary journey began, in London, working at The Greenhouse and then the Michelin-starred Chelsea Room (Carlton Tower Hotel); already, his goal was to win his own star. Next stop was Mallorca. 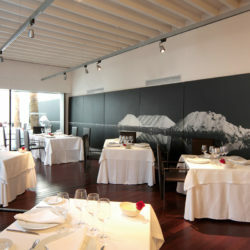 At a country house hotel in Santa Maria, Marc’s unique cuisine – based on fresh, high-quality ingredients, and a modern touch – won many fans, including Michelin inspectors. In 2002, Marc became the first and, so far, the only British chef in Spain, to create Michelin-starred cuisine. In 2009, as chef/patron, he opened Simply Fosh in Palma. “In the beginning, a star wasn’t the goal. It was about good food, with everything else stripped back.” Marc’s culinary reputation led to him becoming brand ambassador for Braun, and being invited to create first- and business-class inflight menus for Lufthansa. Simply Fosh’s pared-down style didn’t deter Michelin: the coveted star was awarded for 2015 and 2016. Since its opening, the restaurant has evolved in an organic way: “It’s been a nice journey,” says the chef, whose wife Iris joined him last year as director of service and customer relations. Several of the chefs who developed their skills in Marc’s kitchens now have their own restaurants – including Adrián Quetglas, Andreu Genestra, and Joan Marc. “It makes me feel proud to see these great chefs having their own success,” says Marc. Now with a new business partner, Marc is on the cusp of exciting developments, including the renaming of his Michelin-starred restaurant to Marc Fosh – the brand that will be the cornerstone of exciting new projects ahead. The Marc Fosh lunch offering has been enriched and presents an affordable set menu in a casual ambience. Dining is a refined gastronomic experience, with a new culinary concept (three tasting menus, including vegetarian), new selective wine list, and new décor. “We’re pumped up and looking forward to the next stage of the journey,” says Marc.